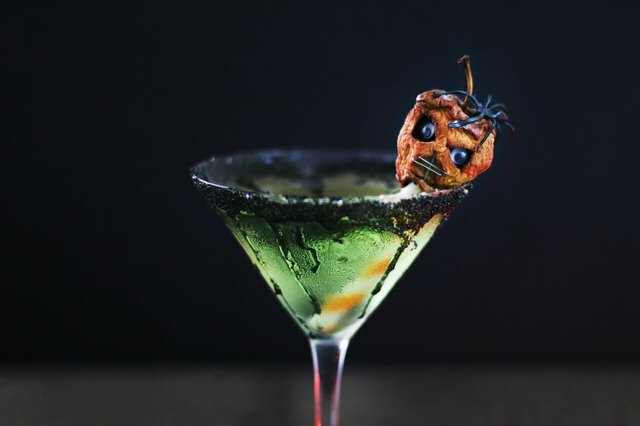 For a Halloween cocktail that is equal parts delicious and devilish, serve a caramel apple martini garnished with a tiny shrunken head carved from a mini apple. If you dare, rim the glass with black salt for a festive salted caramel version. Learn how to make shrunken apple heads. 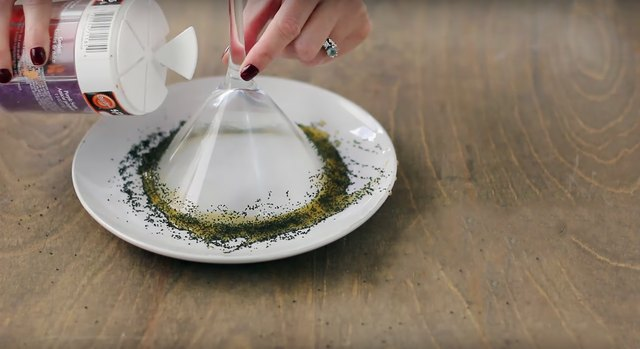 Coat the rim of a martini glass with caramel sauce and then dip in black sugar (or use black salt for a salted caramel version). 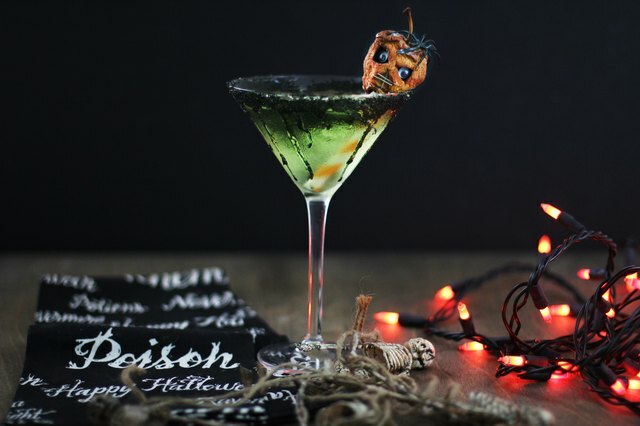 Mix 3 ounces of sour apple schnapps, 1 ounce of vodka and 1 ounce of butterscotch schnapps in a shaker with ice. 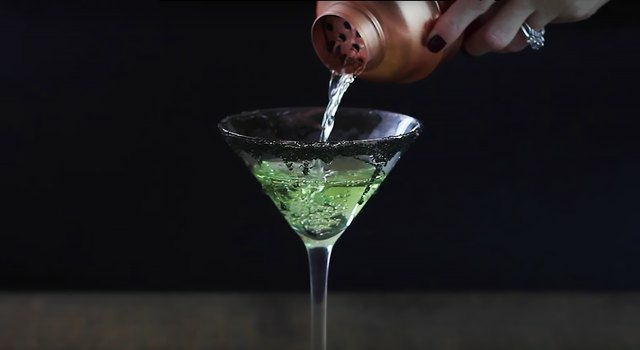 Strain into the martini glass. 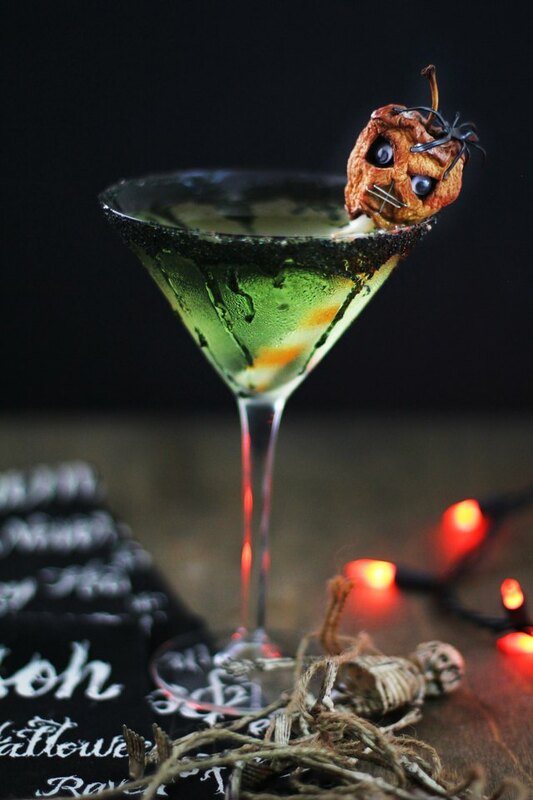 Skewer a mini shrunken head onto a straw and use as garnish. Use staples to create a spooky mouth and a plastic spider for a haunting hairline!